A highly intriguing match-up between Polish Jerzy Janowicz and Alexandr Dolgopolov takes place tomorrow afternoon in the second round of the Apia International in Sydney. For Janowicz, this is his first ATP singles match of the year and he has certainly drawn a tough obstacle for his opening round contest in the form of the Ukrainian no. 1. This marks the first ever professional encounter between the two athletes. 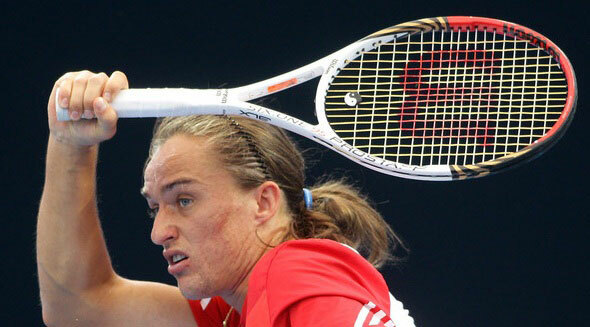 Dolgopolov began his 2014 season in Doha, where he lost to world no. 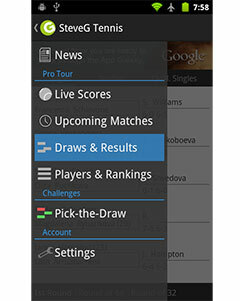 3 David Ferrer in the opening round of the Qatar ExxonMobil Open. While his opening tournament was an unlucky one, the world no. 55 fell into favour when he arrived in Sydney, as he drew Chennai finalist Edouard Roger-Vasselin in the first round. Roger-Vasselin, who had just arrived after losing to Stanislas Wawrinka on Sunday afternoon, was simply unable to make the adjustments for a quick turnaround and retired after losing the opening set 6-3, leaving a relatively fresh Dolgopolov to advance to the second round. 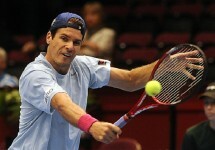 After withdrawing from the Hopman Cup with a foot injury, World no. 21 Jerzy Janowicz is back in action a week out from the Australian Open as he attempts to get the necessary pre-Grand Slam warm-up down under. Following his unlucky start to the year, Janowicz will be looking to carry forth his momentum from the 2013 season, where he attained a career-high ranking of No. 14, reached the quarter-finals (or better) of 5 events and broke through as a potential contender when he reached his first Grand Slam semi-final at the 2013 Wimbledon Championships. The Polish no. 1 has certainly got a tough opening match on his hands, partially due to his own potential rust and injuries, as Dolgopolov will be looking to draw first blood from the hot-headed Janowicz. With injuries and lay-off time as potential factors, it is quite difficult to gauge who will have the advantage heading into the second round contest. Dolgopolov has the advantage of playing in his second tournament of the year, while Janowicz is coming into his first tournament after suffering a foot injury several weeks back. If the 23-year-old appears sluggish or in pain tomorrow, then the contest will be heavily skewed in Dolgopolov’s favour. While that may be the case, it is unlikely that Janowicz would allow himself to enter the tournament on risky terms so close to the Australian Open, meaning he should be fit to compete – even if he is somewhat rusty from the off-season.